For example, it is very easy to switch upper clamping from European to American or NSII MBend provides roughly 200 pre-configured machine models out of the box. If your specific model is not in the list, you can easily modify an existing machine to match yours. 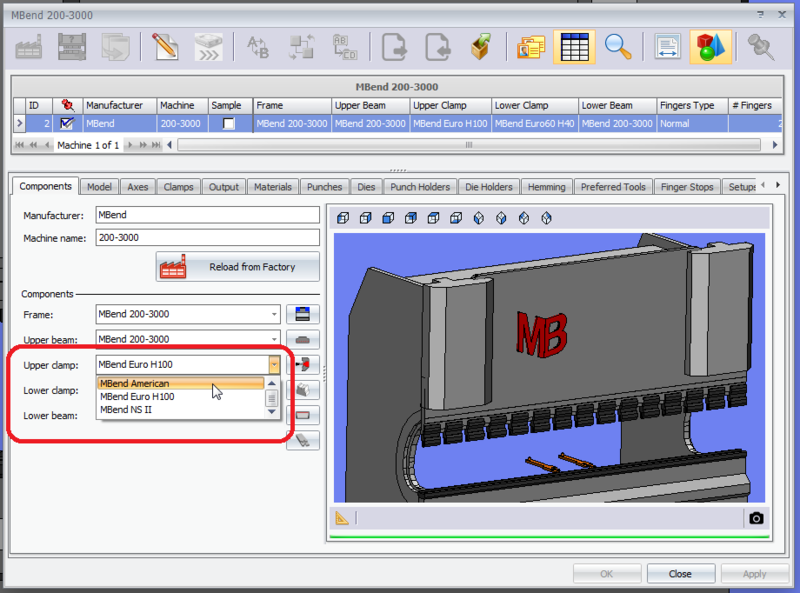 You can also add a machine in MBend to those already available for simulation. A built-in wizard guides you in the process of configuring a new machine, including assigning the tools, whether from imported definitions, existing definitions in MBend, or manual configuration. Define all the parametric measurements. Import machine and tool parameters from another PC running MBend. 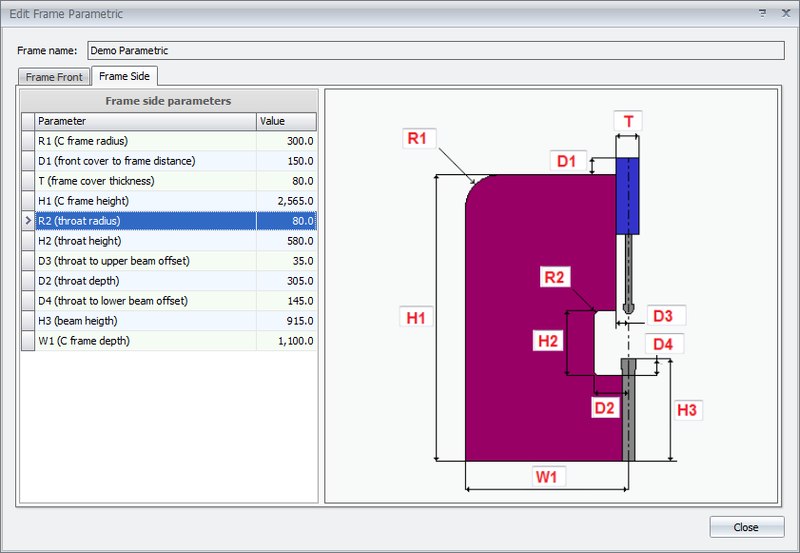 Defining a parametric frame is just a matter of measuring the machine and entering the relevant information in the template.